It is no surprise that I love robots. Growing up in the seventies, all I saw on the movie and television screen were representations of robots interacting and helping their human counterparts with skills and strengths that far exceeded mortal man. Essentially walking computers. I understood and believed that in the future, these interactive machines would be an everyday tool to utilize, complementing tasks, allowing children to learn with robotic teachers or even robotic house maids. That future was fantastic, but reality needed to catch up. One of the main draws of 3D printing and exploring maker culture and its community, was the amazing example of robotics that with a little effort could bring everyone closer to having their own personal robot. Electronics are not accessible, but with a 3D printer and a design, the possible was just a print away. Not only did the maker community fill the need, but business stepped forward too. 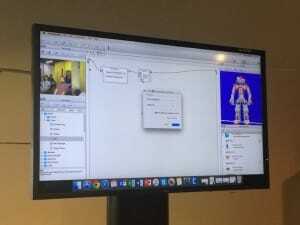 The NAO robot was the attempt to make a learning tool for universities to start working with a humanoid robot. I was first introduced to NAO at the first Mini Make Day we held in 2015. 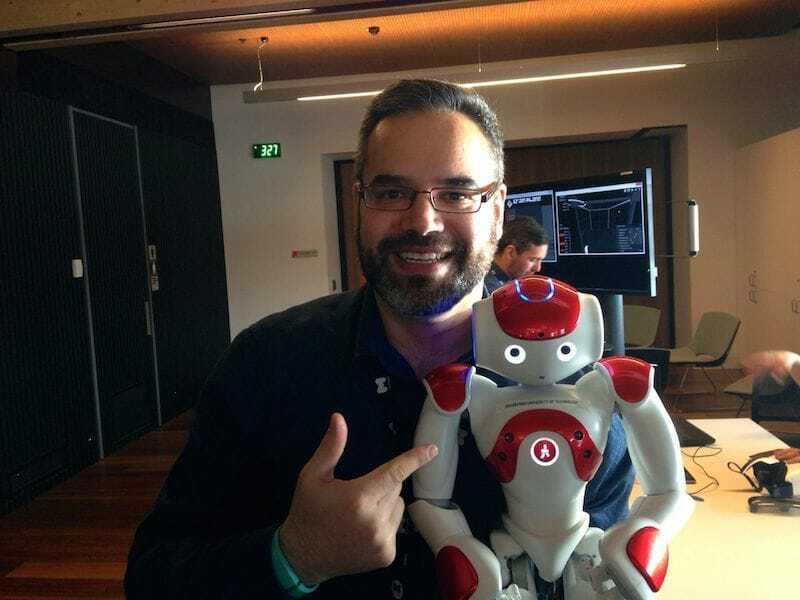 The University of Swinburne were using the NAO robots in their computing center and were kind enough to come down and share them with the public. My first impression was that they were an expensive toy, but I have learned that NAO is more of a tool than the first impression he makes. We had a demonstration of the NAO here at Library at the Dock, and I can honestly say I was impressed. A full learning system, users can program the NAO in Python, C++ or a drag and drop environment very similar to Scratch. With a number of input options (NAO’s eyes look for faces, then listens for command words), NAO is a truly interactive robotics platform. No surprise that after the first five minutes I wanted access to the NAO for myself and I could see the possibilities opening up in front of me. NAO even has an “Autism Mode” where he interacts by sitting down with someone and carmly asking questions as he gets to know them better. I have no doubt as more programs become available, NAO and his big brothers PEPPER and ROMEO will become a common site in our everyday lives. But a video can say a thousand words, so here are some videos I took of our visit last week. 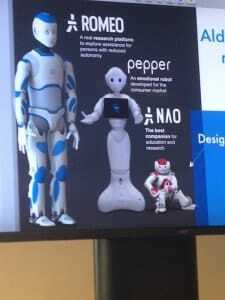 For more about NAO, and his brothers, Pepper and Romeo, check out Aldebaran website .